SPACE ODDITY. 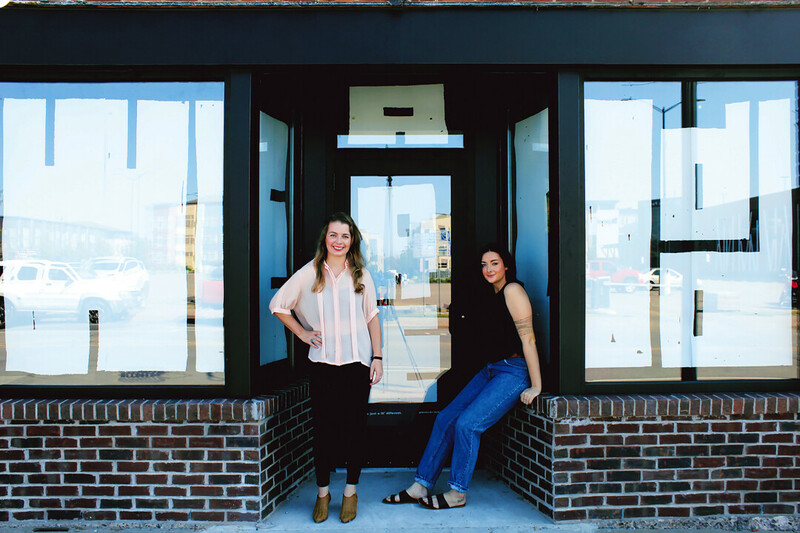 Elle McGee (left) and Serena Wagner are getting set to open their Odd headquarters with tons of art, progressive retail, unique events, and more. It was summer two years ago in Eau Claire. Elle McGee and Serena Wagner were at the farmers market eating spring rolls when Wagner dropped a pretty huge question: “How would you feel about starting a business?”At the time, the old friends were working separately in their fields, they were both feeling a little restless, and they were both looking for something more … fulfilling. I guess that’s when you could say Odd Brand Strategy was born. Combining their complementary skills – McGee in web design/social media management and Wagner in graphic design, illustration, and print work – the last two years have found these young entrepreneurs making significant strides providing fresh visuals for brands like SHIFT Cyclery & Coffee Bar, The Locavore and Life Support BBQ food trucks, Visit Eau Claire, Red’s Mercantile, Clear Water Comedy, and more. The multi-hyphenate creatives were some of the first recipients of the Red Letter Grant for women entrepreneurs, and their external creative pursuits have produced a custom font-making entity, a digital activism platform, a Midwestern poetry zine, and a Chippewa Valley-based designers association. So yeah, they’ve been working. 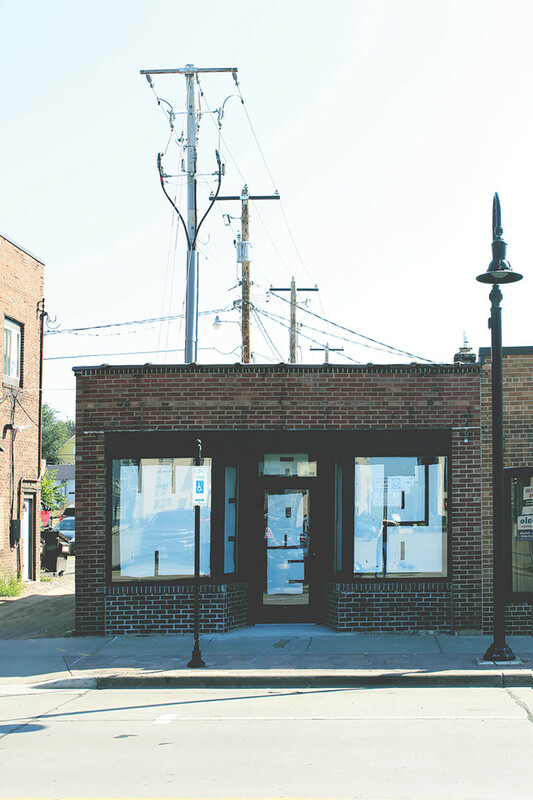 It’s been a whirlwind of long hours, triangulating how they want to run their business, and a lot of ups and downs – but Odd is about to take its biggest leap yet as the duo gets ready to open the doors of a brick-and-mortar space on North Barstow Street in downtown Eau Claire later this fall. The space will serve partly as the Odd Brand Strategy headquarters and partly as a retail shop full of foundation-level art supplies (paper, brushes, pens, ink, paint, etc. ), a collection of ready-made art from all over the country, and all kinds of goods from the duo’s forthcoming retail brand, Odd Humyns. The basement underneath will be transformed into a unique venue for live music and eclectic performances, while throughout the building Odd plans to host fine art workshops (from font making to life drawing to book-binding), poetry readings, benefits, and all kinds of gatherings. Through their retail offerings and the kind of events that are forthcoming, Wagner and McGee plan to fill the entire space to the brim with feminist and queer-positive energy. As the Odd team gears up to enter this phase of their entrepreneurship, they can’t help but reflect on how they got here: A wide open community of support, the tenacity to keep going no matter what, and the fearlessness to stick to your vision. To keep up with Odd Brand Strategy, check out their website, workwithodd.com or connect on Facebook and Instagram.